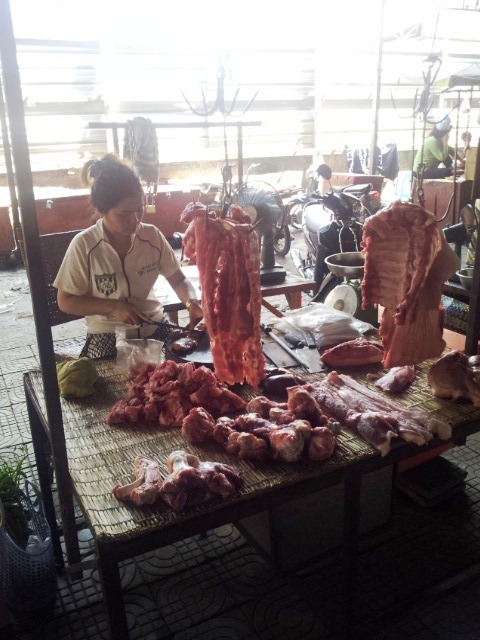 Grace and I went to the market on Sunday morning to get some beef for Jirra who is growing so fast its scary. After battling 12 wedding parties,35 funeral processions and road works at every turn, we arrived an hour later ( normally 10 mins ) . 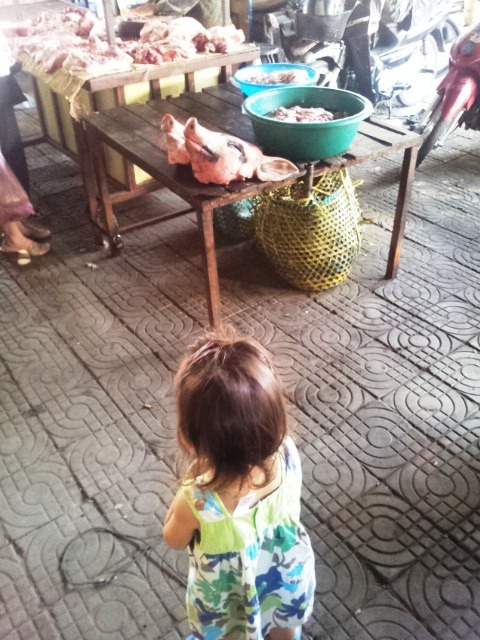 Whilst we waited for the 3kg to be prepared I begged Grace to let me take a photo of her with the pigs heads….but no way was she going anywhere near them . Being the good father I am I tried bribing her with ice cream first and then $1 but nope…..forget it. She was a good sport about it though so I bought her an iced Milo at the cafe which she slurped down. The butcher. I pay $5 a kg.